So, you just finished braces, NOW WHAT? (ALL ABOUT RETAINERS)!!! Most of you have heard that when your braces come off, you will wear a retainer. This is intended to help you understand the importance of retainers and what they are. An Essix retainer looks just like an Invisalign tray or a bleaching tray. It is made of a hard plastic that will hold the teeth in place just as the Hawley retainer does. It is also removable with the same instructions as the Hawley retainer. 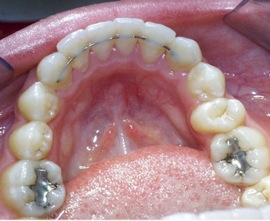 A Fixed retainer, or permanent retainer is a different type of retainer than the 2 above. A fixed retainer typically consists of a passive wire bonded to the tongue-side of the teeth (usually on the Lower teeth only, depending on the bite). 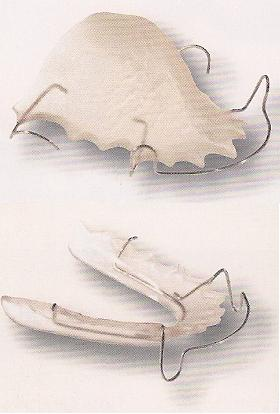 Unlike the previously-mentioned retainer types, fixed retainers cannot be removed by the patient. Some doctors prescribe fixed retainers regularly, especially where active orthodontic treatments have effected great changes in the bite and there is a high risk for reversal of these changes. This retainer is often kept in place for life. Fixed retainers may lead to tartar build-up or gingivitis due to the difficulty of flossing while wearing these retainers. As with dental braces, patients often must use floss threaders to pass dental floss through the small space between the retainer and the teeth. We will help you understand how to take care of this retainer!! OK, now I know you have questions: How long do I wear these retainers? Well, the answer is NOT simple. Truthfully, retainers are for LIFETIME, because our teeth continue to shift throughout life (whether we have had braces or not), and when you have had braces, you do risk relapse even several years after braces come off. So, to make it easy for you, my plan for retainers is to do a fixed retainer on the bottom teeth (since those are always first to relapse), and the clear Essix retainer on the top. After about 4-6 months, you will only be required to wear the essix at night, so it is not too bad having to wear the retainers. So my answer to the question is: You wear your retainers AS LONG AS YOU WANT YOUR TEETH TO STAY STRAIGHT!!! !